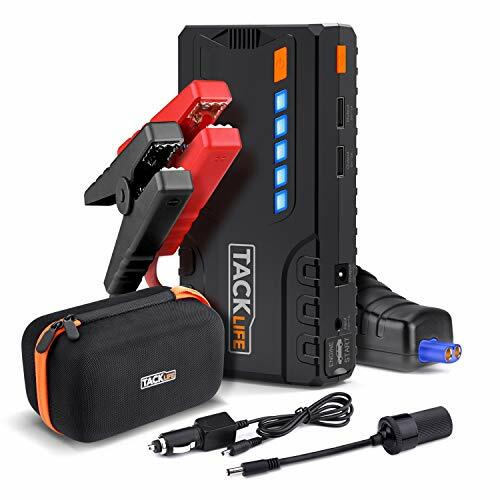 In this article, we’ll be exploring the best car battery charger that is excellent at restoring your battery’s charge even after you depleted it. So, have you ever experienced turning on your ignition just to find out your car wouldn’t work? Or you might have left your headlights on or played your audio for too long while waiting for something. Whatever the reason, it’s highly inconvenient when your car decides not to start. Worst if it’s in the middle of nowhere. It can quickly ruin your day, that’s for sure. So don’t let it! If you want to find out more about car batteries, how they work, why they’re essential, and what brand you should get, head on over to this article – Best Car Battery. Find out which best car battery charger to get for your car. 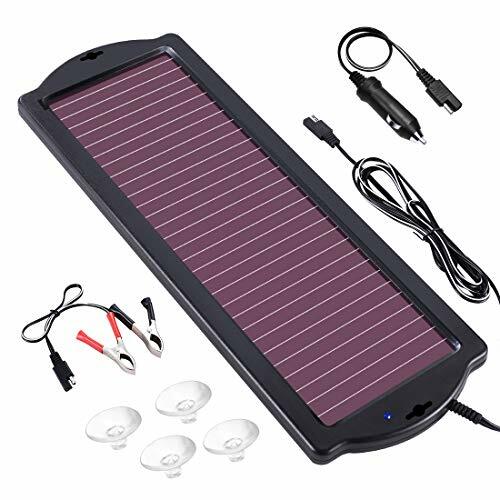 A car battery charger is an essential car accessory that you should have stored inside your trunk. You just never know when you’re going to need to recharge your car battery. It’s a good idea to get to know some of the best models to have an insight on what to buy for your car. Read on for easy-to-follow review guides on some of the best car battery charger recommendations today! What are the safety features of a battery charger? Also, if you own a truck or marine vehicles, head over to these articles – Best Truck Battery, Car Battery Tester and Best Marine Battery to find out the top truck and marine batteries in the market right now. 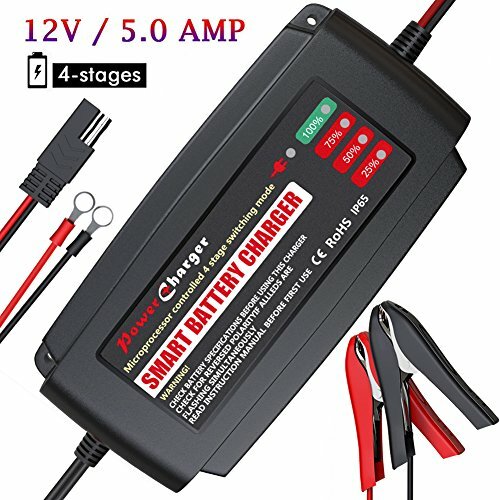 Looking for a smart car battery charger or any other type of battery charger can be tough. So here are a few recommendations for the best battery charger for your car. 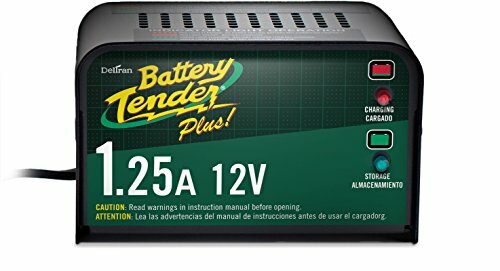 The Battery Tender Plus is a great model to get for people who have rarely driven vehicles. You can even use it on your golf carts and ATVs. It’s a 1.25-amp charger that can charge faster than your regular 3-amp charger. It is also very efficient since it can automatically change from full charge mode to float mode easily. It can maintain storage voltage adequately so you won’t incur damages done by some trickle chargers. Plus, it’s inexpensive! For people on a budget, this charger is an excellent deal! It only has a 90-day warranty, if you read the fine print. This smart charger is easily one of the best and safest models to date. It can charge a myriad of battery types, like lithium-ion and lead-acid batteries. 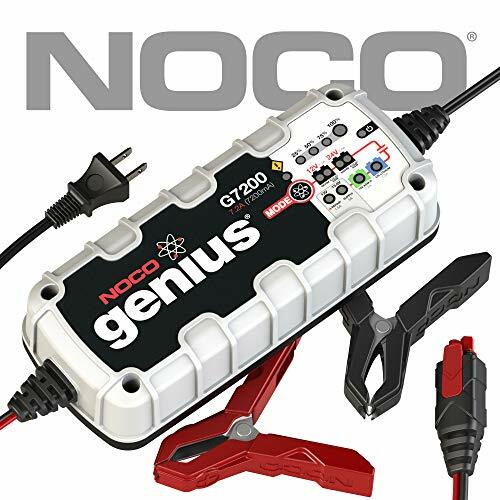 It’s both a 12V and 24V charger and is designed with spark-proof technology to make it very safe to use. It can improve your battery life! 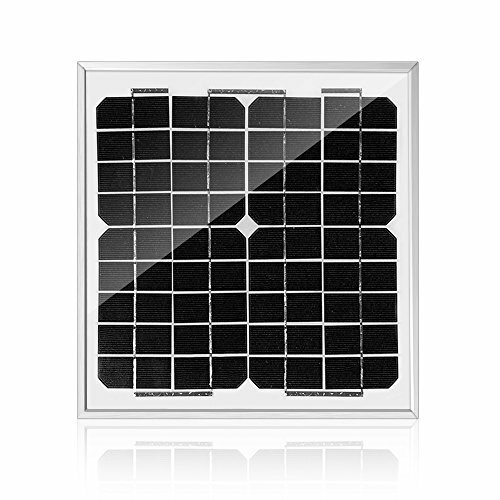 It has features that can monitor your battery’s health and can even repair discharged sulfated batteries. Plus, you can use it to maintain other machine batteries for your motorbike, snowmobile, lawnmower, and etcetera. It has Reverse Polarity and Overcharge Protection. It can charge twice as fast as standard battery chargers. It has an onboard microcomputer for efficient charging. Its warranty process is tedious and lengthy. It doesn’t last quite that long. If you’re looking for a robust and portable contender, the GOOLOO GP200 is the accessory you need. 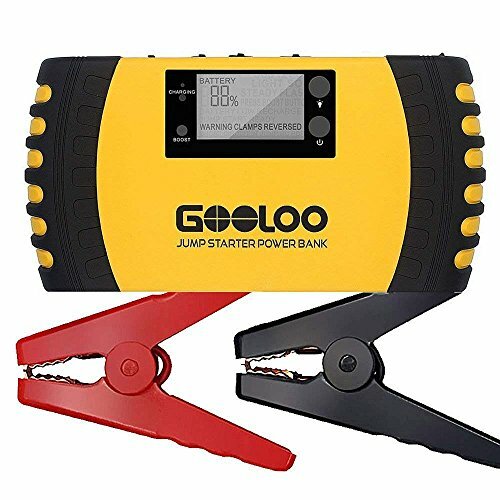 It acts as both a jump starter as well as a battery charger. 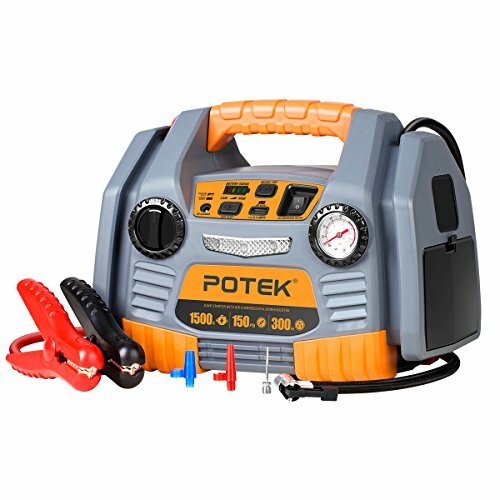 It can start most 12V cars for up to 30 times with no problems at all, and can even be used on lawn mowers, motorbikes, tractors, and more. It has a 20,800mAh capacity and multiple Dual USB Ports. It’s so well-sized that you can even bring it with you during your hiking/camping trips. It can also charge other electronic devices like mobile phones, tablets, and cameras. Plus, it can work even in cold weathers. It is easily portable due to its handy size. It can be used for other electronic devices. It only has 6-inch cables. 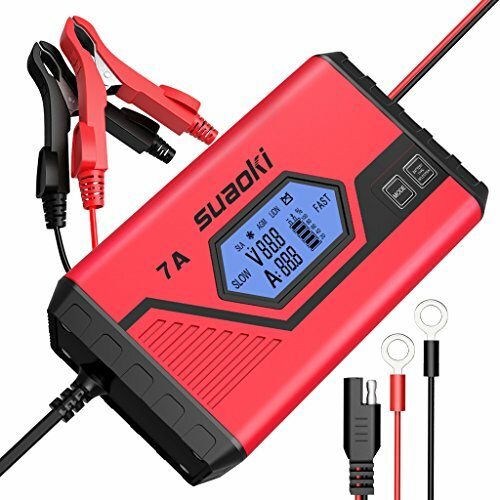 Now that you’ve seen some excellent recommendations for the best overall battery charger, why not look at some portable ones? You might want to bring the best portable battery charger wherever you go just in case you need it. 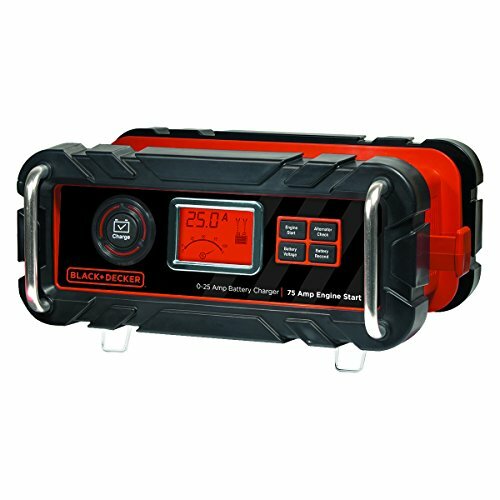 This product can double as both a jump starter and battery charger. It can start your car 30 times after a full charge and can be conveniently placed inside your glove box. This charger can also be used on motorbikes and trucks. Plus, it has a built-in flashlight for when you need to jump start during the evening. It comes with smart jumper cables, a wall charger, a car charger, a USB cable, and many more. It can charge multiple electronic devices. It also works as a jump starter. The BMK smart battery charger has a 4-stage smart charging scheme that is operated by an MCU controller. It tells you when your battery is charging at 25%, 50%, 75%, and 100%. Using this 12V 5A charger will make for fast charging, indeed. Plus, you can use it for different kinds of batteries like cars, boats, electric vehicles, and etcetera. At a light 15.87 oz, you can even take it anywhere you like! It is fully automatic, and convenient to use. It can be used for a variety of batteries. It can double as a Trickle Battery Charger. The SUAOKI ICS7+ has a wide range of uses, which makes it a really excellent bargain. It can be used to diagnose and fix your battery problems; repair discharged batteries, as well as charge your car battery. It can also be used on a boat, snowmobile, ATV, and lawn mower batteries among others. It both has a FAST and SLOW mode to help you choose your ideal charging current. It also has a lot of safety features to guarantee better performance and a long lifespan. It can be used to fix other battery issues. It can be used on a variety of batteries. It has Reverse Polarity, Overcharge, and Over-Temperature Protection. While traditional battery chargers are well and good, trying for another more environment-friendly source is also a good idea. Why not try out a solar-powered car battery charger, for a change? 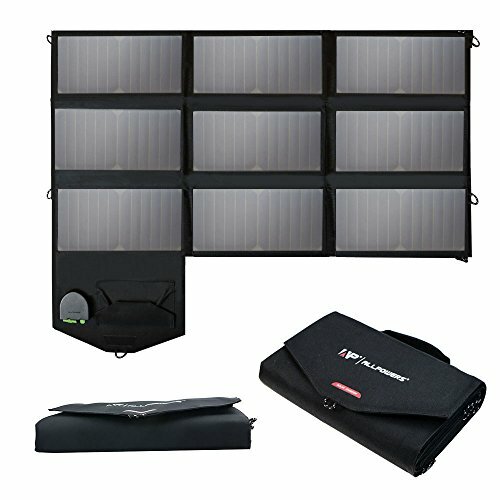 These solar-battery chargers not only can be used to charge a car battery, but it’s also excellent for household use. 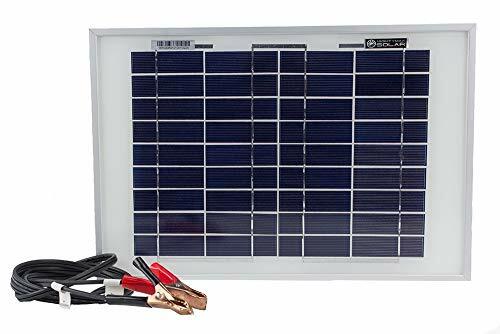 The Mono-Solar Panel from ACOPOWER can provide you with up to 10W power, enough to start cars, boats, RVs, and caravans. This off-grid mechanism can even power a greenhouse solar system. It can withstand high wind as well as heavy snow loads. But it remains lightweight with waterproof features, and a reinforced, anti-reflection coated glass. It can withstand heavy rain, snowfall, and high winds. It still works even on cloudy days. It works for a variety of batteries. Voltage is the pressure that comes from the electric circuit’s source of power (in this case, your battery). It is essential since it pushes the current through a loop, making it do its work. Most contemporary smart chargers can be used for most types of batteries. 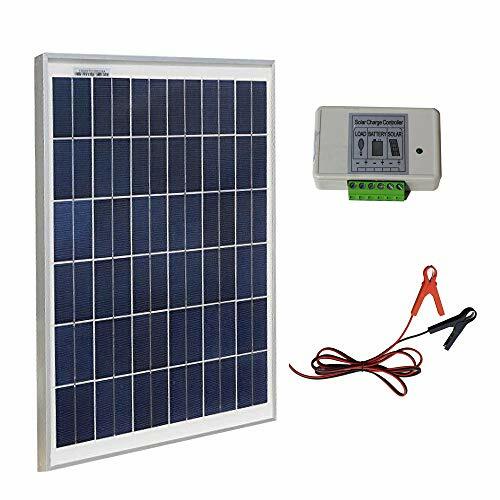 They can easily charge 6V, 12V, and batteries with other amounts of voltage. Want to know more about electricity? It’s how your car runs, you know! Amperage is the electrical current made by your battery measured in units of amps or amperes. An amp is equal to a one-coulomb flow per second. Look for an amperage that suits your usage of your vehicle the best. If you’re just trying out chargers for the first time, a 10 to 20 amp charger is a good start. If you own a professional fleet of vehicles, get a wheeled version that has about 5 to 60 amps, but can do a 275-ampere jump start mode. A battery trickle charger maintains the charge state of your battery at 100% by applying charge regularly on your battery. It usually starts at about 85% and continues whether or not your battery is fully charged. Trickle charging is also called float mode. One battery accessory that has been interchanged with the car battery trickle charger is the battery tender. Simply put, a battery tender stops charging once your charge rate reaches 100%. It only resumes charging when it senses that your voltage has dropped. That is why a battery tender can be left connected to your charger for a long time. A trickle charger should be disconnected after use. You can reconnect once or twice in a month. To fully appreciate how a charger works, you must first know how a battery works. In the simplest terms, car batteries do not store electricity. They make use of chemical reactions to produce energy and then convert that to electricity. The chemical reaction allows electrons to flow from the negative to positive plates of your batteries. What a charger does is it reverses the electron flow, from the positive plate going to the negative plate. This way, the prior chemical reaction needed can occur again. To learn more about how a car battery works and what to do with them if they die by heading over to this article – How to Recondition Batteries and How Long Does A Car Battery Last? How to Choose A Car Battery Charger? There are many genius chargers in the market today. Technology and innovation have continued to improve the quality of products we can get in stores. So, how do you choose which charger is the best car battery charger for you? Well, the very first thing you need to determine is for what purpose you’re getting the car battery charger for. After all, battery chargers are made with lots of useful features and safety properties. Knowing how you’re going to use the battery can help you save up on a lot and even get the most of a feature you’ll probably use more often than others. Regular car owners don’t need much concerning durability and power since this is just for emergency purposes. Avid car enthusiasts may want something more elaborate, depending on what type of car activities they go on. Professional vehicle owners may want the top-of-the-line when it comes to performance and durability since their fleet of cars may need these chargers more often. 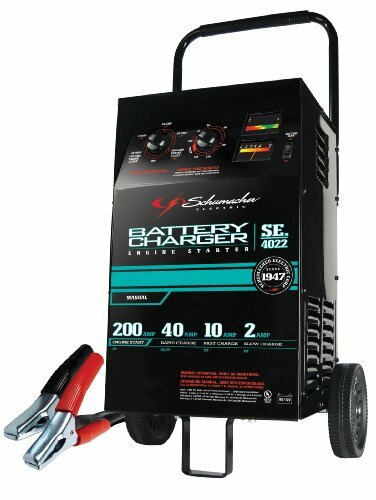 How to Use a Battery Charger? 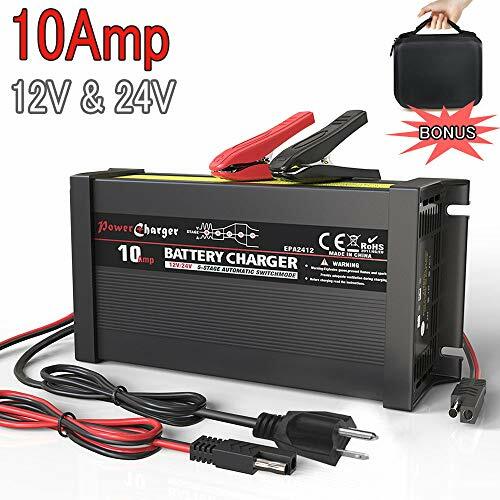 Now that you know what the best automotive battery charger is for you, the next question you need to ask is: how to use a car battery charger? Make sure that all your battery’s connections are in order and working. Make sure that they are connected correctly to prevent damage from occurring. It’s always good practice to check whether your battery is in excellent condition before attempting to charge it. When your battery needs it, it will initialize a recovery process. It will start pulsing small amounts of current. This is usually needed for sulfated and deeply-charged batteries. This is the beginning of the real charging process. The charger will begin with a soft charging phase to not overwhelm both your battery and the charger itself. This is the actual charging process and will continue on up to 80% of your charge rate. Charging will slow down by this time, and your charger will only provide small amounts of current until charge rate reaches 90%. By this time, the battery is fully charged. If still connected, the charger will only provide enough current when your battery needs it. The maintenance cycle is when your charger just monitors your battery’s voltage and tries to determine whether or not it should stop or start the charge cycle. The best car battery charger can provide you with additional safety features to help you feel secure while using it. Reverse Polarity Protection prevents you from connecting the wrong terminals together. Automatic Voltage and Amperage Detection prevents both overcharging and overheating. Spark-proof Clamps prevents sparks and dangerous fires from ruining both your battery and charger.